We operate as a proper ‘full service’ estate agency. There are many examples of online only or ‘hybrid’ agencies promising to offer the same services for much lower fees. We simply do not believe that is possible. Our agency is headed by a truly experienced agent and is committed to providing the highest possible levels of customer service. All prospective buyers or tenants are accompanied when viewing a property. Regular feedback is provided. Once a sale is agreed, we work closely with all parties and their legal advisers to ensure that the deal has every chance of reaching completion. We know from long experience that this service helps to remove a great deal of the day-to-day stress involved in the sale and letting process. It is our policy to always accompany prospective purchasers/tenants when they view your property. By doing so, we are able to properly qualify a buyer/tenant and do our utmost to sell or let your home on the best terms possible. 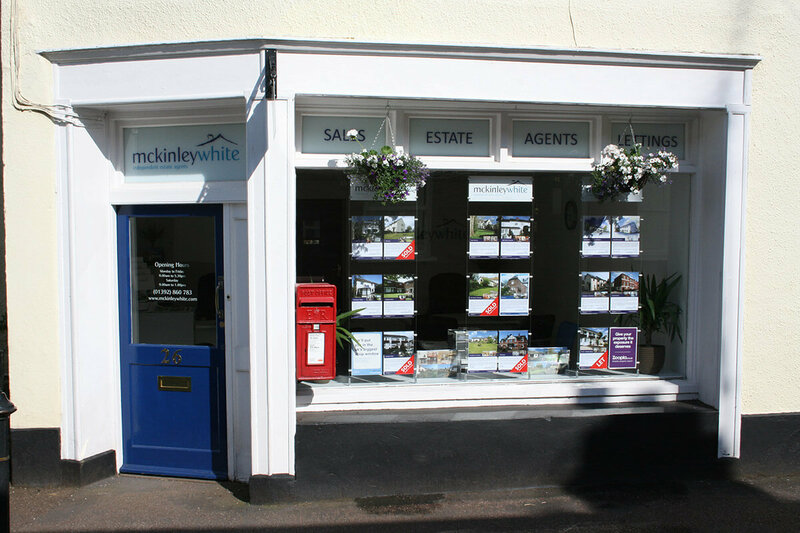 McKinley White agents are thoroughly trained in the ability to present properties effectively and accurately to ensure that your home gets noticed. By making that extra effort such as ensuring that photographs are taken in the right way and researching the history and amenities of the property and its surrounds; we will make your property stand out from its competition. We hope that you agree that our website is particularly user-friendly and all of our marketing literature directs prospective purchasers to this site. Full particulars of our instructions are available to be viewed on our site 24 hours a day, 7 days a week. Additionally, all of our instructions are listed on what we feel are the most appropriate of the property search portals, however, we ARE NOT a purely ‘online’ estate agency. We can advertise your property a broad range of local, regional and national property publications. Our bespoke approach means our press marketing can easily be tailored to suit your property and see it included in the most appropriate publication for its position in the market. We will not tie you in to a lengthy sole agency agreement like many other agencies. We are confident that you will be very happy with the service provided and will have no desire to stop working with us, so we have no need for these restrictive contracts. We are able to act as an acquiring agent in respect of any type of property, with a fee structure tailored to suit your individual purchase needs. We also have particularly broad experience in sourcing and acquiring residential development opportunities on behalf of retained developer clients. The sale of new homes – particularly when being offered ‘off plan’ – is an area we have enjoyed huge success in. Our very personal approach allows us to ensure that these invariably complicated and lengthy transactions have every chance of succeeding. Our bespoke approach is also applied to the commercial property market. Whether it is acting in the sale of commercial properties or development sites to the letting of small shop units or parking spaces, we stand ready to assist. We are very active in the thriving Exeter student property market. From locating student tenants to the sale or acquisition of student investment property, we have the experience and knowhow to get things done. Our priority is to sell properties, not mortgages. We will happily recommend one of the approved and independent brokers we work with, but there is absolutely no obligation for yourself or your buyer to use them. Our agents’ time is concentrated on selling property, not wasted by focusing on selling other services. We have ongoing relationships with certain firms of solicitors and conveyancers, both locally and nationally. We will happily recommend a legal adviser that we feel best suits you and your property, again with no obligation.